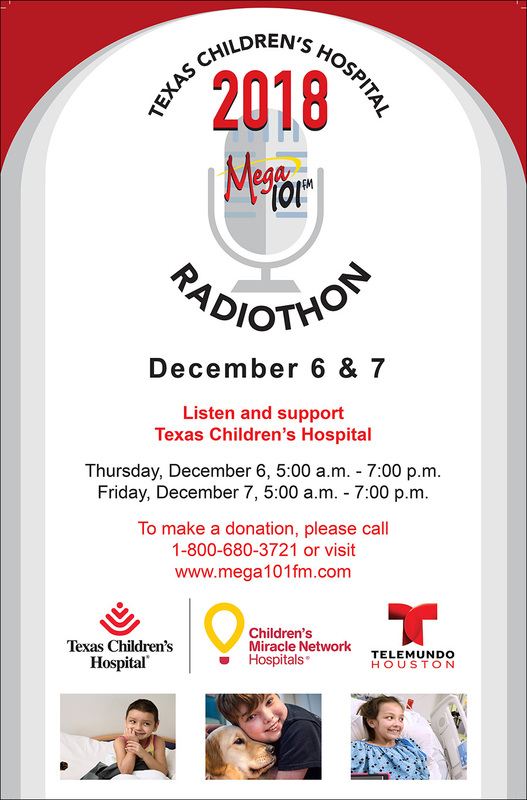 Tune in and listen on Thursday, December 6 and Friday, December 7 from 5 a.m. to 7 p.m. and help support the Texas Children’s Hospital Mega 101 FM Radiothon. With your donation, children in our community will receive the care and treatment they need and deserve. Texas Children’s is committed to providing the best possible care regardless of a family’s ability to pay. Give today by clicking here.